The unlikely pairing of an industrial designer with an inventor has produced the Klang Speakers. Aside from their unique shape, the Klang Speakers (that are just a concept for now) are a cut above the rest because they direct the audio to a specific location. 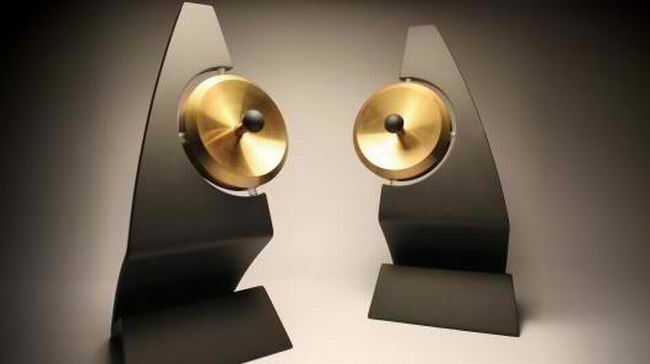 The Klang Speakers came about when designer Adam Moller was researching his latest speaker system project. He came across the work of inventor Woody Norris and shazam! A great idea was born. Thanks to an ultrasound beam that pinpoints the audio’s direction, the Klang can transmit to a specific area without being heard outside the beam’s range. This means that when using the Klang you and you alone can enjoy those groovy tunes. Since this is a concept, we have no idea when it’s coming out or if ever.